Farm 1814 Maegraith homestead circa 1921 has so many intriguing stories to tell. Over three decades ago, Peter and Rosa set out to restore the two-acre house and garden into the tranquil temperate property it is now. Including stonewalls, birch forests, ornate hedging, unique outbuildings and ornamental features. This garden features many rooms of interest and an abundance of fresh fruit and vegetables. 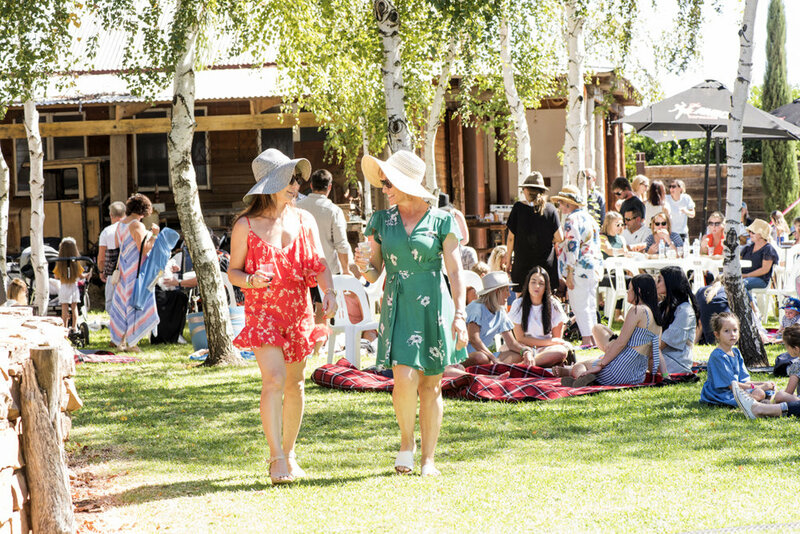 Taste of Griffith was launched in October 2016 at Piccolo Family Farm by Taste Riverina. In true collaboration style Limone Dining, Sugarmill Patisserie and Zecca Handmade Italian, produced a unique dining experience showcasing the City of Griffiths culinary finesse.